1. Approval of minutes of the October 17, 2018 meeting. 7. 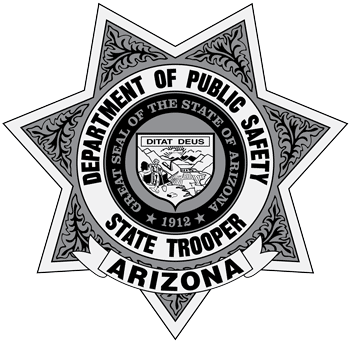 Executive Session – The Board may meet in Executive Session at the Department of Public Safety, Management Services Conference Room, Suite 260, 2102 W. Encanto Blvd. Phoenix, Arizona for the discussion of Agenda Item #6, pursuant to ARS 38-431.03(A)(2) for purposes of discussion or consideration of records, information or testimony exempt by law from public inspection. 9. Executive Session – The Board may meet in Executive Session at the Department of Public Safety, Management Services Conference Room, Suite 260, 2102 W. Encanto Blvd. Phoenix, Arizona for the discussion of Agenda Item #8, pursuant to ARS 38-431.03(A)(2) for purposes of discussion or consideration of records, information or testimony exempt by law from public inspection. Michael Ayala, Cody Carpenter, Alec Cunningham, Thomas Dolan, Cole Erickson, Patrick Hancock, Daniel Hughart, Dylan Kramer, Joseph Kyzer, Ryan Lawrence, Jake Max, Trevor Ratliff, Nolan Russell, Michael Schmitt, Russell Shearman, Samantha Shurtleff, and Matthew Thompson, all effective October 20, 2018 (pre-existing). Stephen Chrusciel, effective October 13, 2018. Eivar Alvarez, Devon Brandt, Patrick Cervantes III, Joseph Del Pozzo, Andrew Kish, Coy Krisher, Christopher Manns, Erik Navarro, Jaime Ramirez, Nicholas Restifo, Christopher Villanueva, and Dion Young, all effective October 20, 2018. 11. Executive Session – The Board may meet in Executive Session at the Department of Public Safety, Management Services Conference Room, Suite 260, 2102 W. Encanto Blvd. Phoenix, Arizona for the discussion of Agenda Item #10, pursuant to ARS 38-431.03(A)(2) for purposes of discussion or consideration of records, information or testimony exempt by law from public inspection. ADA accommodations for medically retiring members.